As a theology teacher who also happens to be witlessly crass, people tend to gravitate to me specifically to ask difficult questions that other folks don’t like to deal with. One of these is the theological idea of creation, which, unbeknownst to many people, leads inextricably to another common religious problem—predestination. Predestination is something that most people who are “supposed” to believe in or who think they believe in, usually fall into one of three categories. They don’t actually understand it, they don’t like it, or they don’t actually believe it. So, rather than explain the whole creation and predestination mess, I’ll start simple and explain along the way. And, if you think this is blasphemy, don’t worry, it’ll probably be a blast for you too. 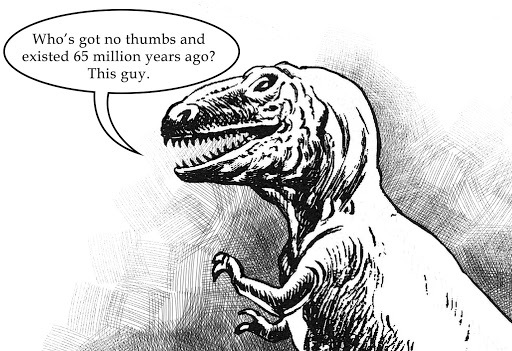 Yes, dinosaurs existed. And, yes, our planet is 4.6 billion years old. 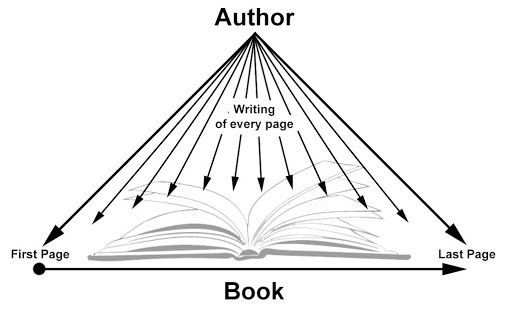 An author writes a book. He has to write every single page. The characters in the book (assuming, in this analogy, that they're sentient) know nothing about the author firsthand and exist only inside their own timeline, unaffected by the author's timeline. The author is likewise unaffected by the time and events of the book, but creates the whole universe himself—first in his mind, then on the page—and is responsible for each page's creation. 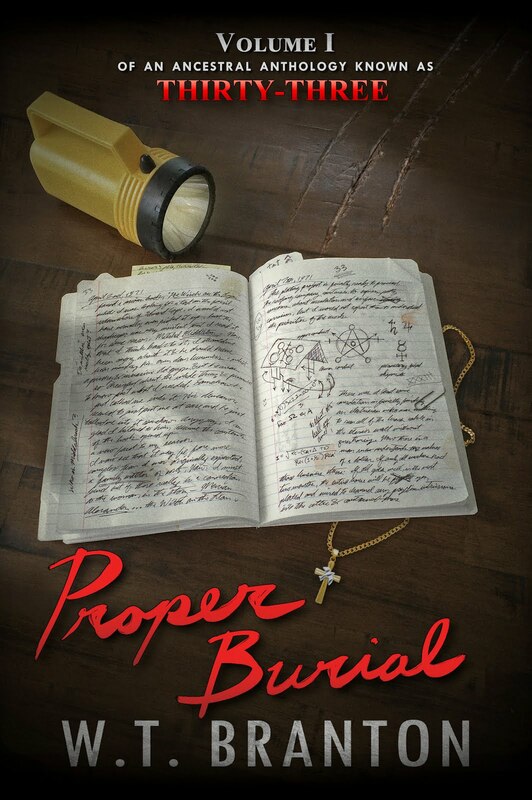 When the book is complete, he knows all at once (in a perfect, timeless moment of knowledge) everything that happens in the book he wrote, be it on page two, page twenty, or page two-hundred. The author is, in the perspective of the characters of the book, omniscient and omnipotent—the God of the book world. This model effectively explains the proper and traditional Abrahamic (Jewish, Christian, and Muslim) theology of divine creation. 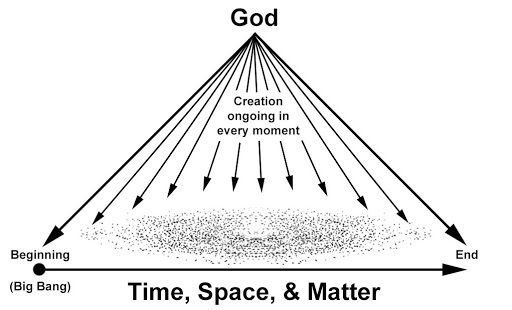 Rather than God creating the earth in a fixed point in time (like many evangelical creationists believe), He creates (presently) all of existence at every moment, essentially holding everything in being by force of creative will—Himself being absolutely necessary and everything else being merely contingent. Also, God (like the author) exists (relative to the book) in an eternal, transcendent state, which is wholly outside of created time, space, and matter. With this in mind, we come to questions over destiny, fate, and other such difficult philosophical topics. Predestination is one in particular that has been a thorn in the side of theology for some centuries. Predestination is a Calvinist Protestant idea that basically means that all of our actions and destinies (in terms of the afterlife) have already been pre-decided for us by God. It also means that no matter what we choose to do, we cannot avoid, nor in most cases even determine what we’re ultimately destined for. So, the question that most people ask right away once they understand the basics of predestination is this: “If our destinies and afterlife have already been decided for us, then why bother with anything at all?” Well, that’s a real damn good question. The debate over predestination really comes down to whether or not the Author (God) writes every action of every character (person), or if the characters have free will. In other words, does this analogy of the author hold up 100%, or does it break down at the level of the characters being able to direct their own actions? Did God write the whole book, right down to every detail of what the characters do, or did He just make the characters and allow them to act out their own lives, like playing a game of The Sims with the AI turned on autopilot? If we do not have free will, then predestination makes sense, because God is literally like the author of a book and has pre-written everything we do. If we do have free will, then predestination doesn’t hold up, because, although He knows what we will do (because of His transcendent omniscience), He does not determine what we do the same as an author writes characters' actions in story. It doesn’t mean that we’re all totally rotten, just kind of that we’re the reason we can’t have nice things. Under the Calvinist doctrine of Unconditional Election, the theological concept of Original Sin also collapses, which is ironic because if it's fundamental position in the Bible, coupled with the fact that protestant Calvinist traditions consider themselves solo scriptura (i.e., "scripture alone is sufficient for salvation"). Original Sin is (and has been since the ancient Jewish traditions) the theological explanation for how free will affects naturally good creations—that it corrupts them through the choices we make that are anything less than good/perfect. It doesn’t mean that we’re all totally rotten, just kind of that we’re the reason we can’t have nice things. This whole explanation isn’t to denigrate humanity. In fact, I would categorize myself as something of a religious humanist. It’s just to say that, like the Christians would say, humanity is intrinsically imperfect and a little broken (though not beyond repair), and like the Buddhists would say, life invariably involves suffering that is a direct result of our imperfections (although there are ways out of it). Since we’re intrinsically broken, suffering little hairless apes, we clearly have free will and the ability to vary that suffering and brokenness. So, although there may be a transcendent, divine source of creation, which totally makes sense to me in the analogy above, and He mostly likely knows what we’re going to, that doesn’t mean He dictates what we’re going to do. If that were the case, then truly the question remains—Why bother doing anything at all?